Protection Racket Hardware Bag 5028W-09 w/wheels 28"x14"x10"
Hardware Bag 5028W-09 w/wheels 28"x14"x10"
The Protection Racket Hardware Bag 5028W-09, 28"x14"x10", offers effortless transport and maximum protection for instruments and hardware. This is also due to the many small details used in all Protection Racket Bags. Whether virtually indestructible zippers, the comfortable handles or the practical silicone badges, every little feature of the Protection Racket Bags makes the life of drummers and roadies on tour a bit easier and more pleasant. The manufacturer Protection Racket with bags for surfboards, founded in the English surfing Mecca Cornwall, made its name. And although this chapter in the company's history is long gone, these extremely robust and durable bags can still be found on the beaches of the world today. Except for minor detail improvements, the Protection Racket Hardware Bags for drums, percussion etc. resemble their legendary models from surfing. Both the materials and design of the bags have remained unchanged, true to the motto"If it's not broken, don't repair it either". 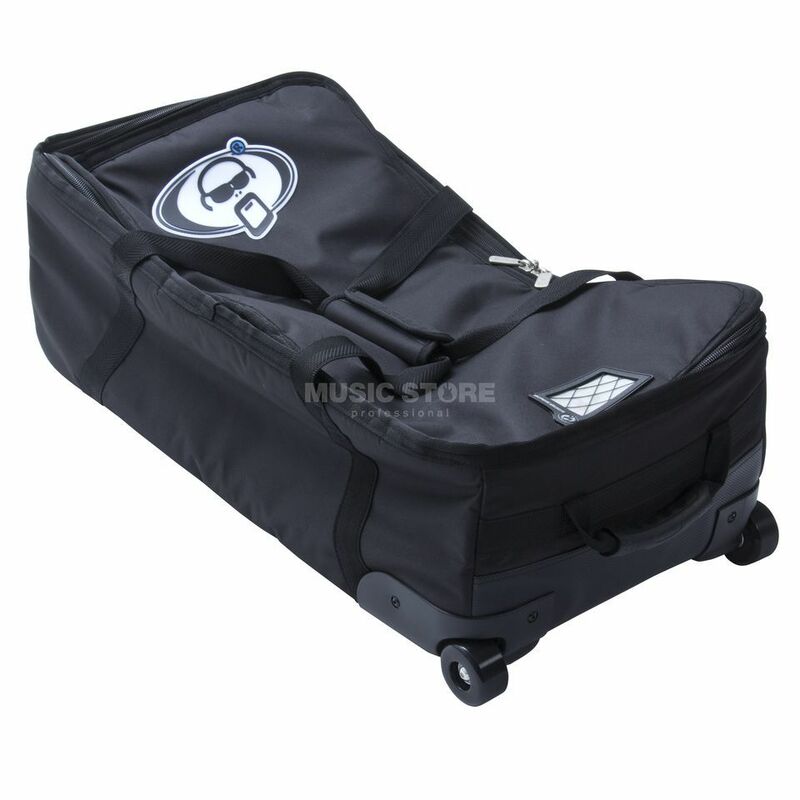 The large assortment offers for almost every drummer and percussionist the suitable bags, starting with drum, cymbal and hardware bags over percussion bags of most different kind up to the seat cover for the drum stool Protection Racket serves every wish.